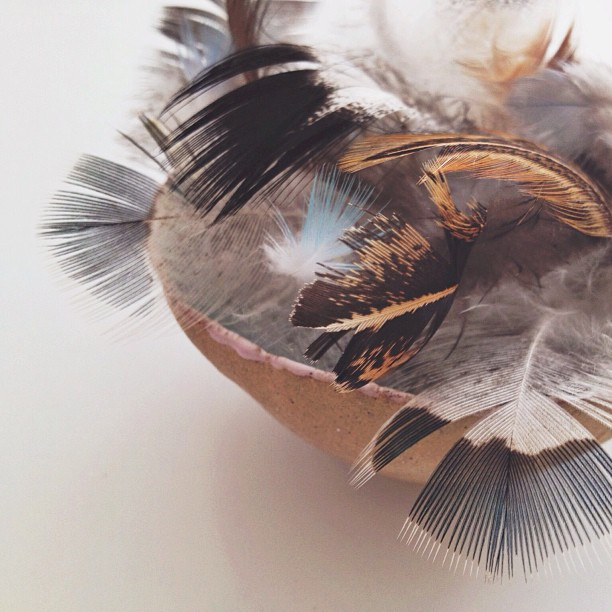 Linking in again with lovely Lou of little green shed and her Nature in the home series. Lou had encouraged us to go forage some more this week, so we have been exploring for some bits and pieces beyond our garden! 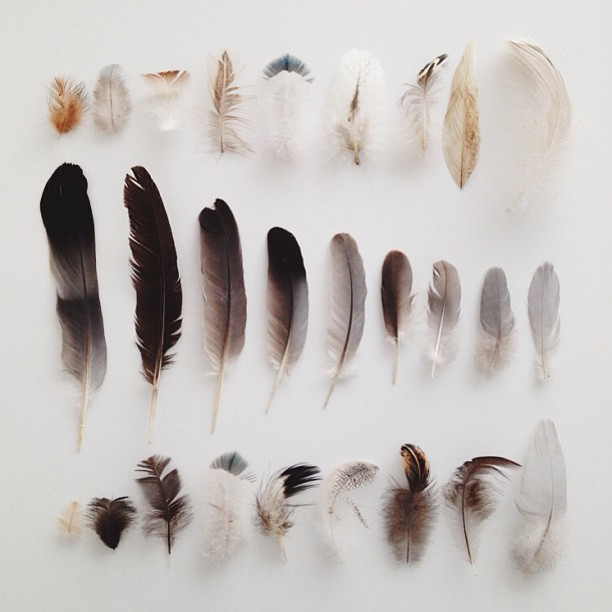 These feathers were all found this weekend at a country park we went to. Elizabeth loved doing this with me, getting excited when we found a pretty coloured one. 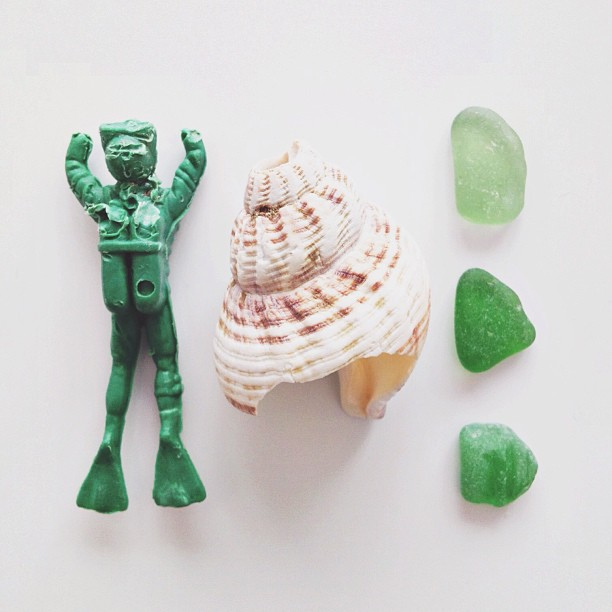 The beach treasures were also found this week - the handless and slightly chewed diver man not so natural, but definitely had to be included! I also had to show some pics of the E planter I did a few weeks ago. I have left it on the bathroom windowsill since I planted it and remembered to give it a little water occasionally and its grown loads. 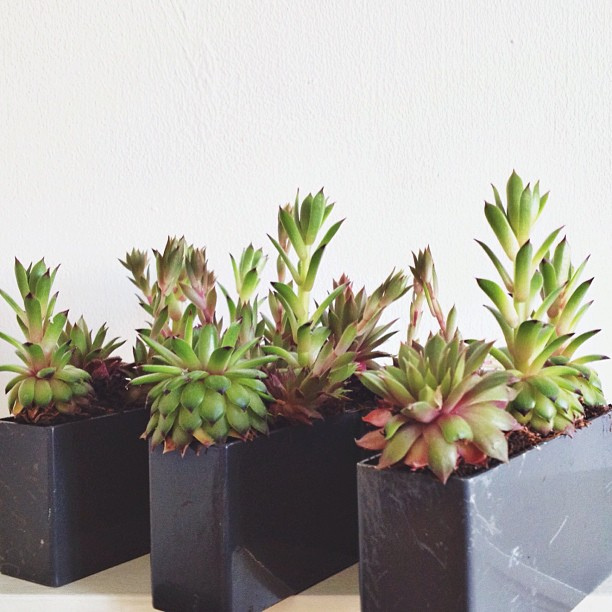 I really thought all those little succulent pieces would just die after I had separated them! I was a bit surprised to discover my 'hello May' picture from last weeks post had been used by so many other people on Instagram as their own. I do find it a bit strange when people on there just take others pictures and say they had taken it themselves. I'm always more than happy for people to share my pics, but it would have been nice if they had just put a credit! I have seen others I follow on there have problems with people using their pics - though I guess didn't think people would take mine. I realised from one that it had been posted on Tumblr and had a crazy (but lovely) 35'000 notes so I think people had maybe seen it from there. Anyhow enough rambling but it does make you wonder if other images have been used like that too - I only realised as I happen to come across one of them! Love all those feathers and forages. I am always amazed when people just asummed it is ok to use something someone else has taken. Sadly in this day and age, it is impossible to stop. You take lovely photo's so I am not surprised people are using them, you need to set up a business! So sad to hear you pic had been stolen and used like that...I just don't get it! 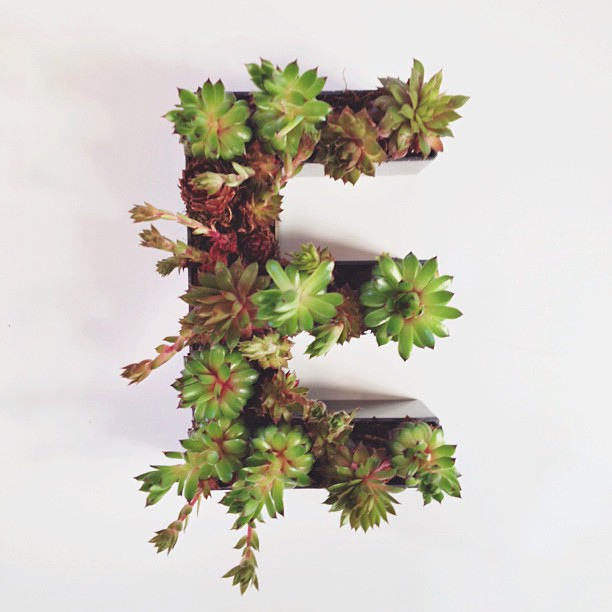 love that E planter! i can see why your pic was used that way as it was an awesome pic but it is very unfair to not get any credit for it! my son would be very impressed with your feather collection, too. I love the feather images - that little pale blue one is so sweet. Sorry Caroline I've been so out of the loop lately but have just been catching up with your posts. Looks like April was as crap for you as it was for us, so I'm very sorry to hear that. Like you say May can only get better. Thinking of you guys. I love your photography so much and sadly I'm not surprised to hear that your image has been stolen as it's just stunning. But that doesn't excuse people pinching the picture and claiming it as their own. Boo to them all. Beautiful photos. I think it's rather sad that people would pass other's photos off as their own but it must be a shock when you see your own used. You really do compose the most gorgeous pics Caroline. 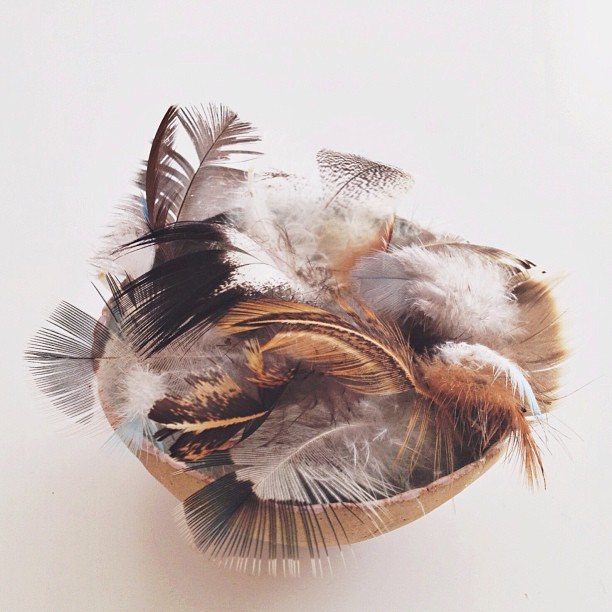 I love the feathers, another blogger I follow collects feathers too - I'd always been lead to believe they had fleas so except for the odd cockatoo feather I was never really all that keen to pick them up (I'm not a germophobe just a flea-a-phobe!) but if it's good enough for you then I'm gonna keep my eyes peeled for some pretty ones from now on! Beautiful images! 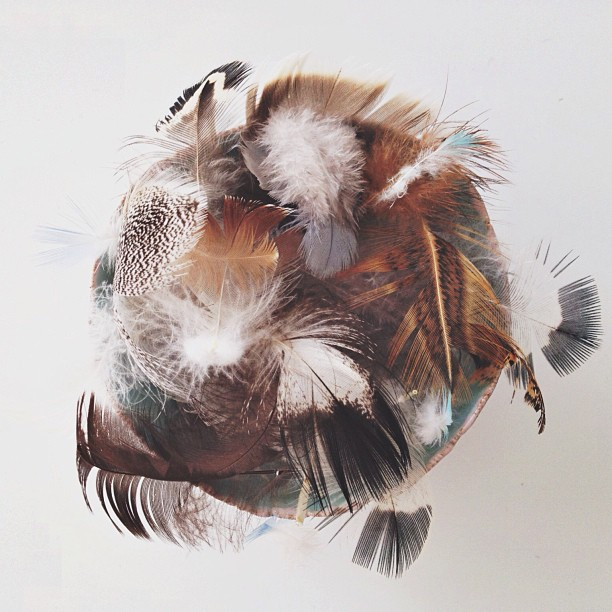 I also can't understand why someone would pass your image off as theirs..
Love those photos, feathers are so pretty! :) Great mood and tones. Have a lovely day! I like your sense of design. Wow, what lovely compositions. (: I used to love collecting feathers as a girl too, whenever I found a cockatoo crest was always the most exciting. I can feel Elizabeth's excitement over the coloured ones, as I would have been just the same! That's so crap that someone has taken your May picture without crediting it. Can you challenge them? I sometimes think Instagram and Pinterest make people think everything is a bit of free for all, but claiming a shot is their work when it clearly isn't is just plain stealing isn't it? And boo to that. Oh, utterly beautiful. I adore a nature collage. Thankyou for your stunning images this morning.